Video production on location in San Francisco and the Bay Area can be very costly. That is why shooting a video on a green or white screen has many advantages for our clients. It can save not only time, but money. 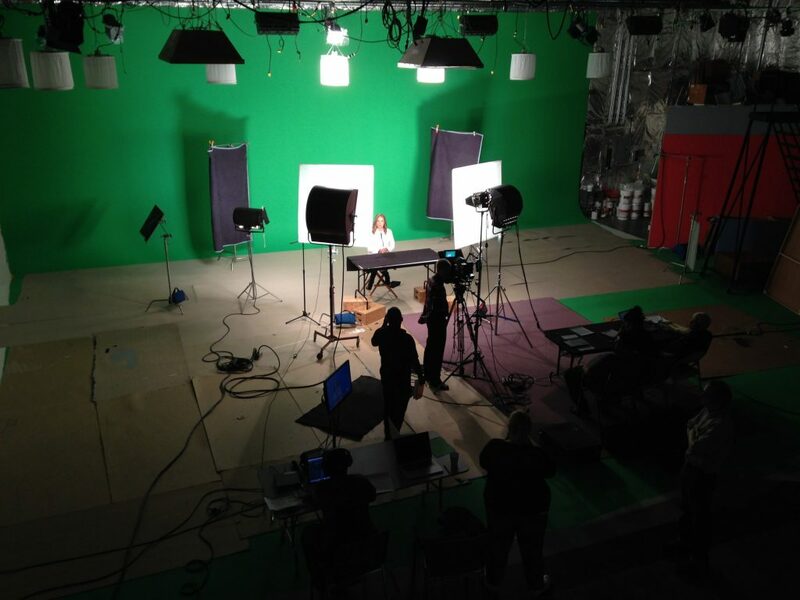 Hollywood has redefined cinema by the increased use of green screen compositing techniques, but many smaller productions can also use it to create engaging videos to reproduce virtually any setting. 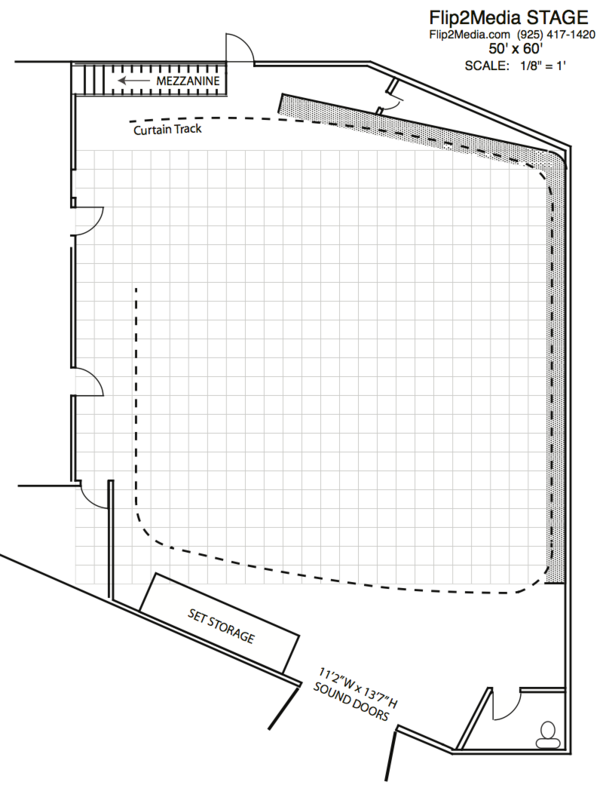 Our studio has two cyc walls at a curved angle as in the picture below. The 45 foot wall is usually painted partly green for green screen that can be used to for interviews, music videos, commercial, or even feature films. The other wall is 30 feet long and completes a seamless two-wall curved cyclorama. With our pre-lit studio , lighting grid and crew expertise, there is minimal setup and the stage is ready for use at “flip” of the switch. White Cycloramas or “cycs” are great for video and photography shoots. White screen video shoots offer more control over sound and lighting than on-location shoots. Our studio can offer a turnkey solution with minimal setup. The white cyc gives the appearance of an infinite space that creates a non-distracting background for testimonials, product videos, corporate marketing videos, and medical videos. With our elephant door, we can support both large scale and small productions for larger set pieces. The studio with our green screen and white cyc is essential for many of our full service clients, where we manage all aspects of a complete project from concept through the edited finished video. It is also available for rent separately, either raw or equipped, with or without crew as needed. Please contact us to discuss the scope of your project for a quote, and check out our assortment of Grip and Lighting Equipment – from small LED panels to 5K fresnels.